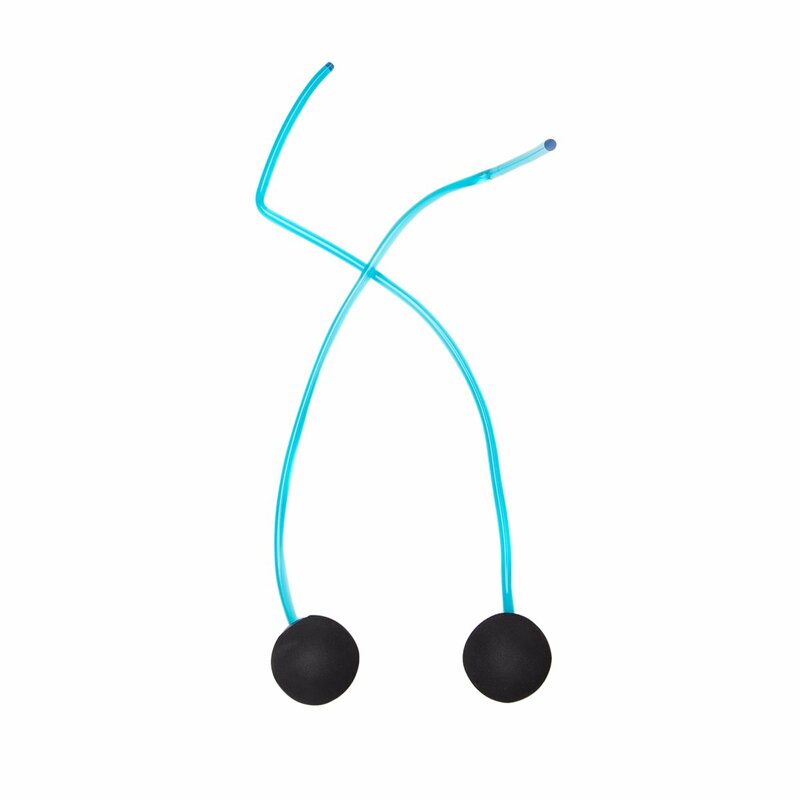 Rope jumping is an intense cardiovascular sport, which burns about as many calories as running. 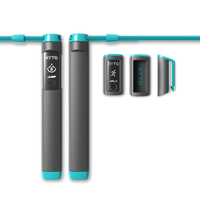 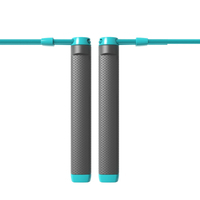 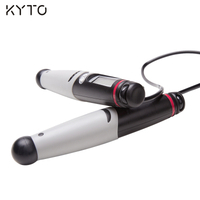 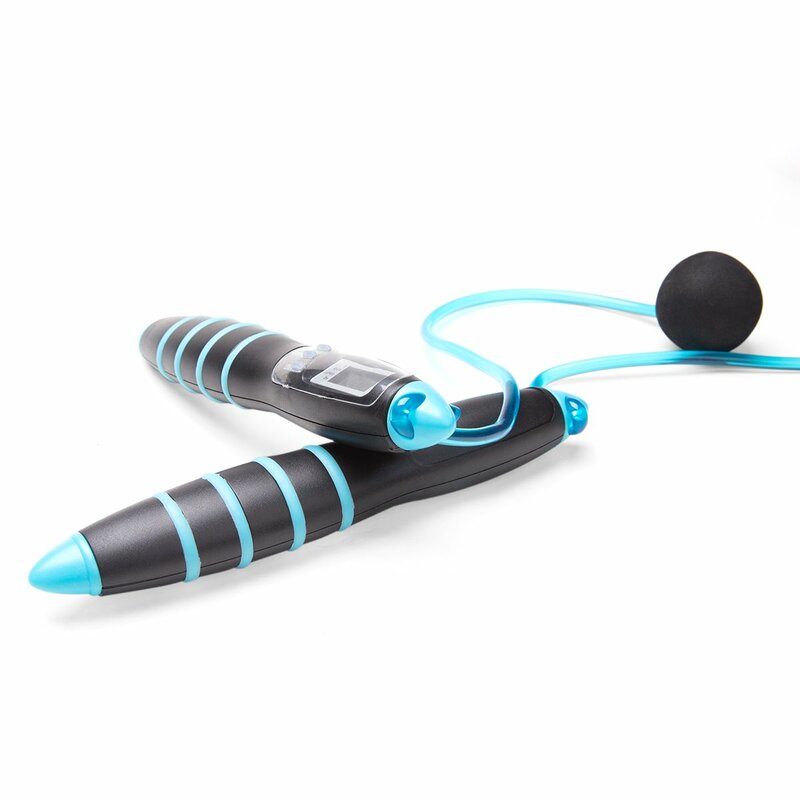 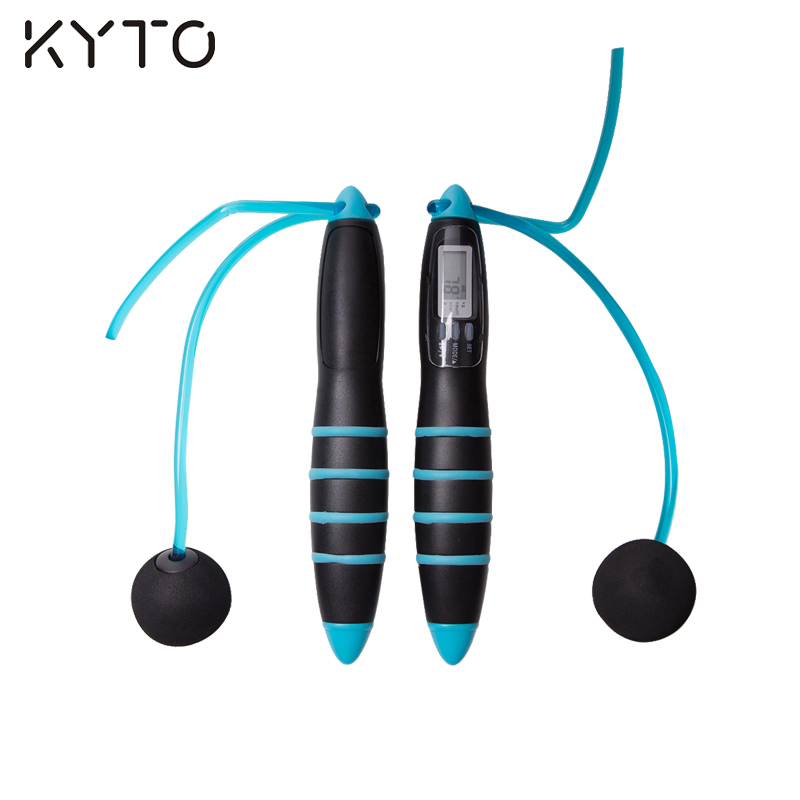 With the elegant shape, the timer jump rope measures your energy expenditure depend on your exercise intensity level. 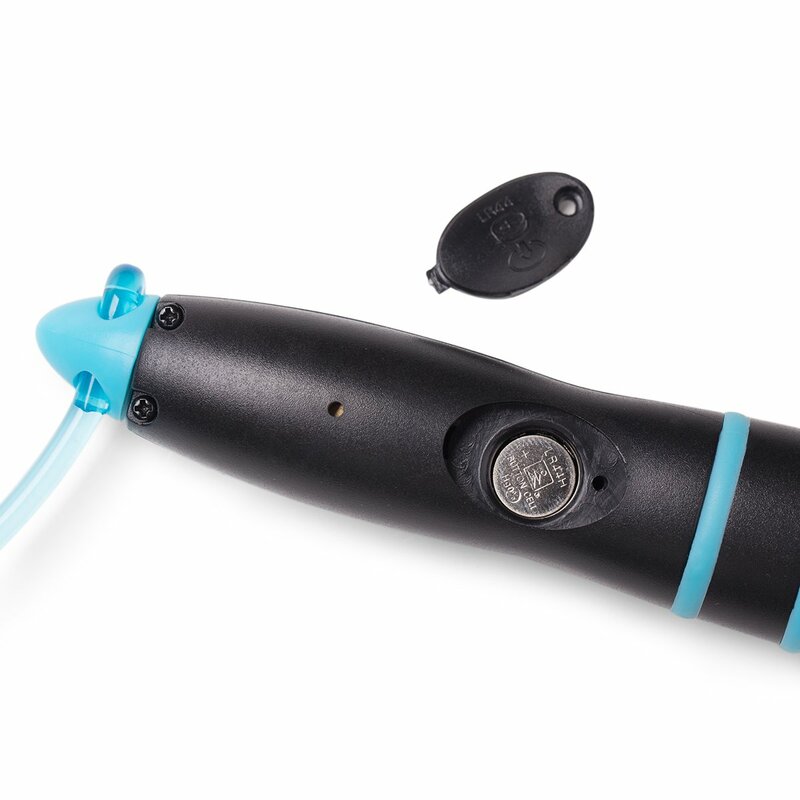 — 作为无线跳绳, 只跳10分钟, 其便可消耗和30分钟跑步运动相同的卡路里, 这意味着同样运动时间, 你消耗3倍卡路里值. 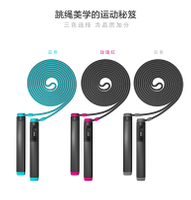 — 电子跳绳有5种模式: 时钟, 定时, 计数, 卡路里, 脂肪．每个模式在LCD屏对应有一个按钮. 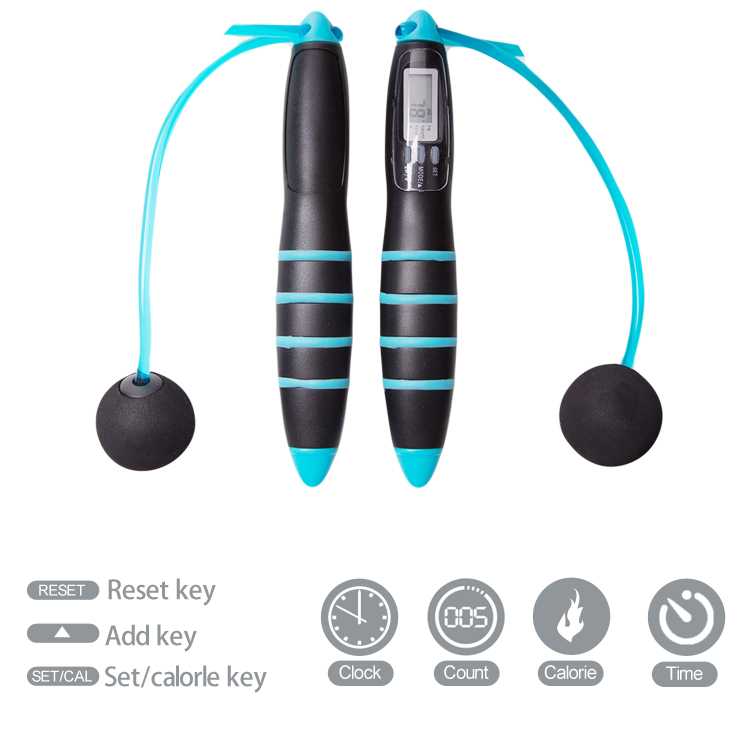 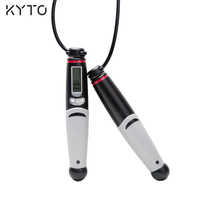 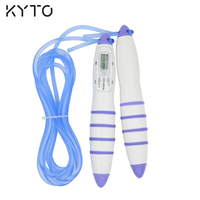 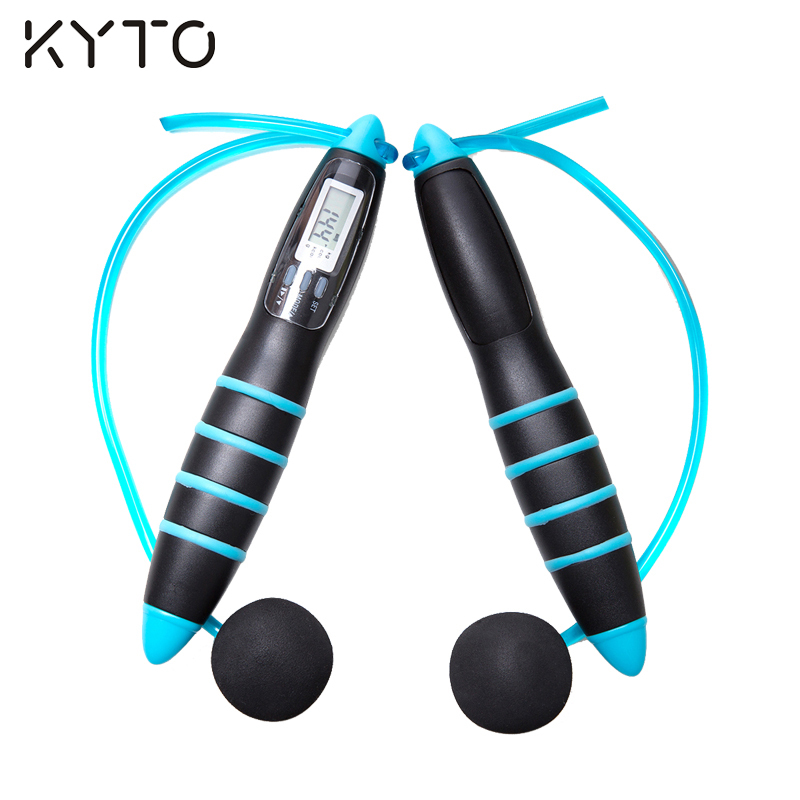 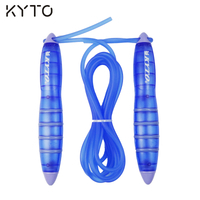 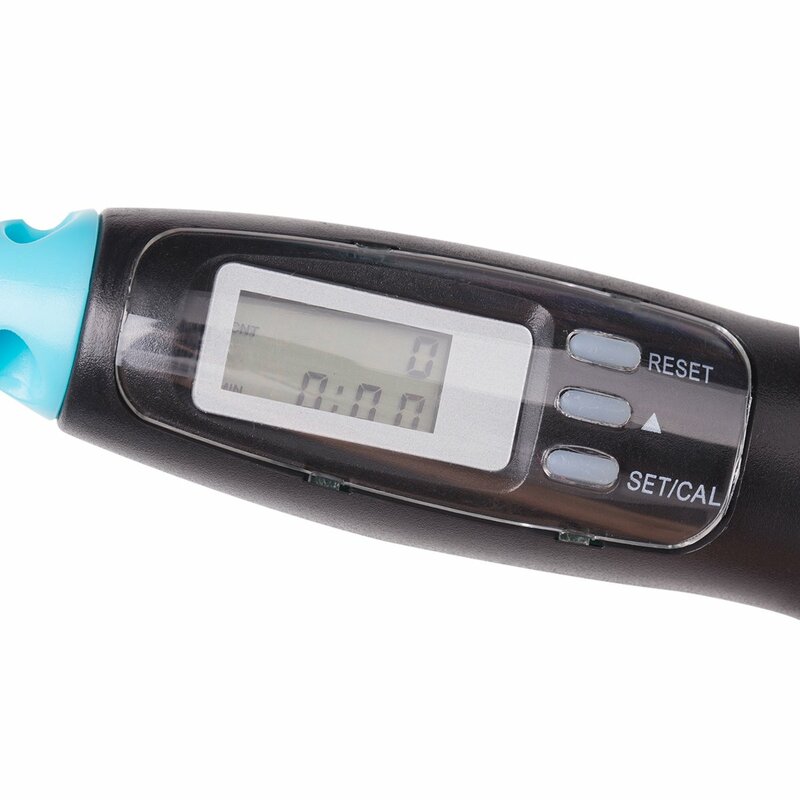 This digital jump rope has five modes of clock mode, timer mode, count mode, calorie, fat mode, in each mode the LCD will display an icon.